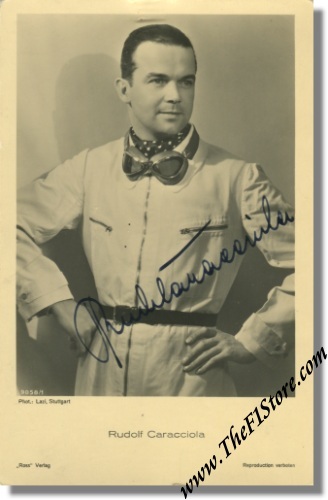 Rudolf Caracciola autographed vintage fan card. Rudolf was one of the most important pre-war Mercedes Aces. A beautifully signed card showing Rudi in his characteristic winner's pose. It measures some measures 3.5 x 5.5 inches.